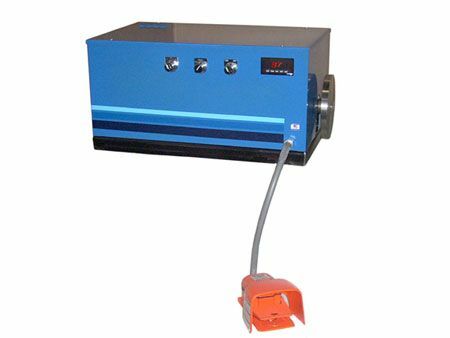 This foot-operated coil-winding machine can be mounted on benches, cabinets, and other spaces. 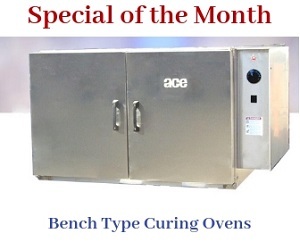 Its durable construction allows it to be used in various industrial applications. This bi-directional machine is integrated with a preset counter. Both the turn count and the tachometer reading are displayed on the counter. Featuring immense capacity, the machine has the capability to record and display, one to 999,999 turn counts. The counts are added to the register whether the turns are being added or subtracted. The machine can be programmed to stop at a preset number of turns. Under various loads and speeds, the machine could face an override of inertia. The machine can compensate for this problem by adding an extra turn to the pre-set function. In a nutshell, a light duty winder has limited pulling power but a wide, almost infinite range of speed variations. This is possible because it features a Permanent Magnet DC (PMDC) motor that drives a gear reducer. With the use of a PMDC motor, the starts and stops are soft and smooth. From zero to full speed, the acceleration and deceleration can be completely controlled by the user. This is important because if the machine gets any shocks due to erratic movement, then the main wire could get damaged, or worse, break. Smooth functioning of the machine ensures longevity of all components. The speed of the machine is controlled by using the integrated foot pedal. The user can accelerate or decelerate the winding function with the use of the remote foot pedal. Every time the foot pedal is depressed, the winder experiences the same amount of acceleration. In case of an emergency or an error, the operator can stop the machine instantly by taking the pressure off the foot pedal. With this feature, the machine can be stopped mid-function. COIL WEIGHT CAPACITY When used with an outboard support, it can load up to 240 Lbs. PULLING POWER The PMDC motor is used for gear reduction. Through this method, torque is developed. FACE PLATE With an 8" wide diameter and four slots, the machine can accommodate various types of heads, fixtures, and winding forms. BRAKING The spring-set Disc brake is electromagnetic in nature. It is mounted on top of the input shaft, which ensures accurate positive stopping. FACE PLATE OUTPUT SHAFT A shaft measuring 1" in diameter is used in conjunction with the faceplate. GEARS The motor used ensures precise double reduction of ground gears. SWING Measuring from the center of the faceplate to the bench, the swing measures 5.5" in height. 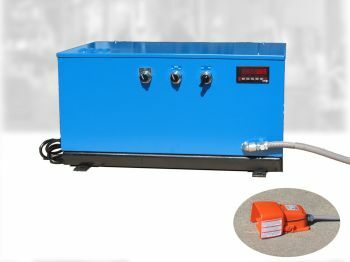 ENCLOSURE Constructed using heavy-duty materials, the gauge cabinet fits in all the mechanical and electrical components. This ensures safety as well as ease of accessibility during maintenance. MODIFICATIONS The winder can be modified in accordance with the client's requirements regarding the winding speed and torque.